The view of data as flowing through a design, from input to output. A dataflow model specifies the functionality of the entity without explicitly specifying its structure. This functionality shows the flow of information through the entity, which is expressed primarily using concurrent signal assignment statements and block statements. VHDL code is inherently concurrent (parallel). Concurrent code is also called dataflow code. 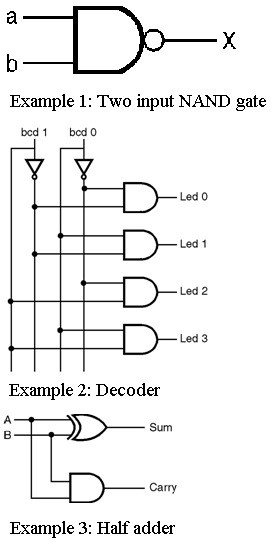 In above NAND gate code is described using single concurrent signal assignment statement. A signal assignment is identified by the symbol " <=". All the four statements here are executed concurrently and each of them is activated individually when any of its input signals changes its value.